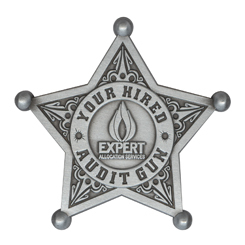 These Die-struck pewter sheriff badges come with a butterfly clasp backing in your choice of 2 inch, 2.25 inch or 2.5 inch sizes with your logo on the front. No personalization available. 100 minimum order. $165 tooling and artwork charge. Allow 3 weeks for delivery. *You will receive only one Artwork Proof prior to production. Any changes made will be billed with a $20 per revision. 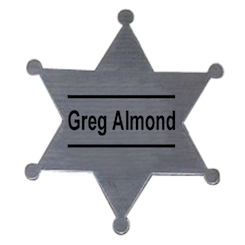 These Die-struck, two-tone etched 3D sheriff badges come with two butterfly clasp backings in your choice of 2 inch, 2.25 inch or 2.5 inch sizes with your logo on the front. Available in Gold, Silver, or Copper with up to 5 colours. No personalization available. 250 minimum order. $165 tooling and artwork charge. Allow 3 weeks for delivery. *You will receive an Artwork Proof prior to production. Available with in Silver, Gold or White Plastic. Lasered with your logo and 1 line of text. 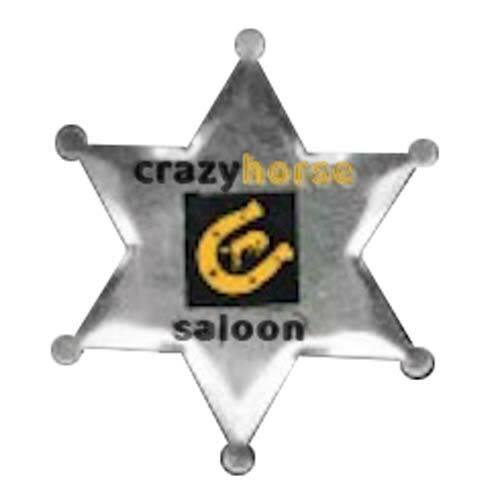 *A $65 setup charge is applied to Logo Sheriff Badges. *There is a $35 typeset charge per 100 names unless all names are forwarded to us in a word document or excel spreadsheet file. Available with in Silver, Gold or White Plastic. Lasered with Digitally Printed logo. *You will receive only one Artwork Proof prior to production. Available with in Silver, Gold or White Plastic. 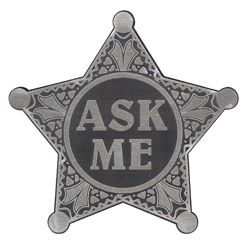 Lasered with up to 2 lines of text. We define text only nametags as having NO logos (that includes wordmark logos). 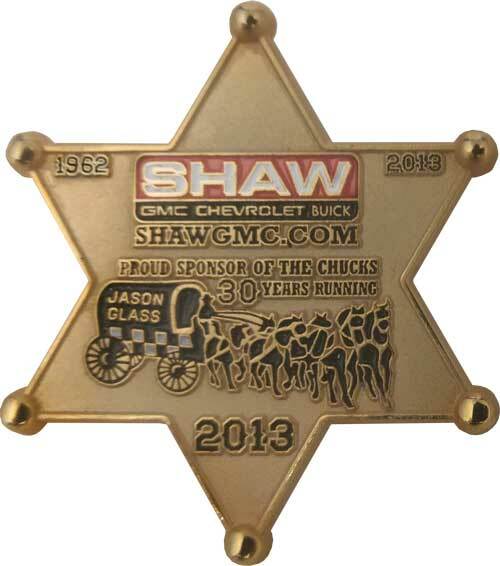 2.625 inch Star Sheriff Badge. 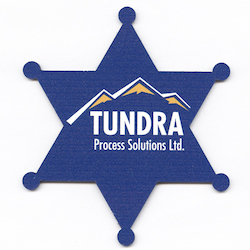 Pricing includes one-colour imprint on Silver, Gold, or White metal. Other background colours are printed and are one extra colour charge. PLATE CHARGE: $165 per colour. COLOUR/COPY CHANGE: $130 per change. METALLIC INK: One extra colour charge. PLASTIC COATING: Helps prevent scratching. LOCK PINS: Add $30 per 1000 badges. ABSOLUTE MINIMUM: 5000 Badges. Freight not included.